*This memo was prepared for the “Rethinking Islamist Politics” conference, January 24, 2014. 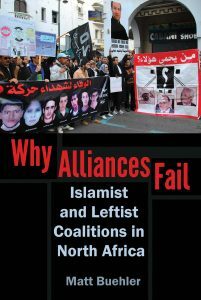 The Arab Spring has caused huge changes in the political landscape of various Middle Eastern countries, among them Egypt, where the Muslim Brotherhood briefly held power and various Salafi groups participated in elections and parliament — which Salafis had stayed away from before. Other countries in the Arab world, such as Tunisia and Libya, have also seen a greater political assertiveness among Islamists since 2011. This memo deals with the Islamist ideas on democracy and participation in elections partly underpinning these choices and policies. The main problem with Islamist views of democracy — found, for example, in the writings of Abul Ala Maududi — is the reconciliation between rule by the people (democracy) and rule by God through the sharia (theocracy) on the other. Maududi attempted to solve this dilemma in his idea of a “theo-democracy” by allowing the people to decide within the framework of the sharia, but not allowing them to overstep its boundaries. Not only did this include structural discrimination against non-Muslims (the leader could only be a Muslim, for example), but it also seemed to dismiss the possibility that one pillar of this system (the people) might ever decide against the other pillar of the system (God). This problem still plagues the Muslim Brotherhood and Salafis to a certain extent; although they have come up with three main ways to deal with it. Subjection of the sharia to the will of the people: Islamic law will not be applied until the people accept it. If the people are not ready for it yet, the (partial) application of the sharia will be put on hold until they are ready. This is clearly the most democratic position held among people within the Muslim Brotherhood in Jordan. I have not encountered it, however, among Salafis. Shura as an Islamic form of democracy: Islamic law must be applied and the people have the right to consultation (shura), but only about things that are not clear from the sharia itself. The power of the people, in this case, is limited to issues that do not overstep the boundaries of the sharia, as in Maududi’s “theo-democracy.” There is considerable disagreement, however, over where these boundaries lie exactly, and many also feel that these boundaries should be relocated by every new generation. In some form or another, this position is held by many members of the Muslim Brotherhood. A complete rejection of the idea of rule by the people: Islamic law is generally quite clear and the people can only decide about detailed issues not decided upon in the existing legal texts of Islam. Those decisions naturally cannot transgress the rules of the sharia. These rules cannot be renegotiated throughout time by new generations since they are fine as they are — the crucial difference from the previous position. The rule of the people, in other words, is limited to shura, which cannot be equated with democracy. This position is held by the more hawkish members of the Muslim Brotherhood and many Salafis. This group differs on whether or not to participate in a less-than-Islamic system, which has to do with elections. Before the Arab Spring, Jihadi-Salafis often rejected elections in general since elections allow the majority to rule, which is fundamentally wrong — “the truth,” not whatever the majority feels is right, should simply be applied,. Since the Arab Spring, however, several Jihadi-Salafis, such as Ayman al-Zawahiri, Abu Basir al-Tartusi and Abul Mundhir al-Shinqiti, have indicated that while they reject the philosophy of democracy (i.e., rule by the people instead of by God), they do not reject the means of democracy (i.e., elections, term limits, correcting the ruler where necessary, a limited role for the people, etc.). Apart from a complete rejection of election because of the aforementioned reason, this has led to three different positions among Islamists on elections. Complete acceptance on both legislative and executive levels: This position has long been widely held among members of the Muslim Brotherhood, who believe that running for parliament and the presidency are both acceptable. Participation in government is also justified in their view. Although exceptions exist (e.g., Hasan al-Turabi, attorney general in Sudan), it speaks for itself that most Sunni Islamists in the Arab world simply never had the chance to participate in elections for president prior to the Arab Spring. Some politically minded Salafis have also held this view for some time (e.g., in Lebanon) while others have shown that they hold the same position since the Arab Spring (e.g., Hazim Abu Ismail in Egypt). Acceptance on executive levels: This is a rare but interesting position. It was proposed by the Syrian-British Jihadi-Salafi scholar Abu Basir al-Tartusi, who supported Hazim Abu Ismail, an Egyptian Salafi candidate for president. Tartusi stated that one must not become involved in “un-Islamic” legislation and should therefore shun parliament, but running for president (being a local leader subject to an eventual caliphate) was allowed. The (partial) acceptance of democracy among Islamists, particularly the Muslim Brotherhood, has been a long process that has been influenced mainly by local circumstances and international Islamist discourse and is unlikely to change drastically after, for example, the coup in Egypt. In other words, democratically minded Muslim Brotherhood members are unlikely to dismiss democracy altogether now that their effort to rule Egypt has been thwarted. People who were not too keen on democracy all along, however, will likely feel vindicated. Recent events in Egypt may also sway some Brothers who were always doubtful about democracy’s merits. Not all Islamists’ decisions related to democracy are based on such long processes, however. Some decisions — like the Salafi Nur Party’s participation in the Egyptian elections after the fall of Mubarak — may probably be more easily turned back because it was not rooted in a decades-long thought process but rather in a pragmatic belief that now was the chance to go into politics. This means that Muslim Brothers who are open to participation in elections and watered-down forms of democracy may be willing to engage in politics even further if given the chance to do so. From this position of greater political involvement, they may then work on a genuine acceptance of democracy, a stance that some of their fellow Brothers have already adopted. This could even apply to Jihadi-Salafi groups, even though the latter are the most adamant in their rejection of democracy. To be sure, al Qaeda members are not about to become Jeffersonian democrats, but if the Arab world ever becomes open enough to allow such groups to express their contention through electoral politics and parliament, they might just do that. Some might argue that this would undercut al Qaeda members’ raison d’être (jihad), but I would argue that it is much more a general sense of unease about their own regimes and Western influence that fuels such groups. If al Qaeda members realize that these issues be contested by other means than fighting and terrorism, they might eventually run for parliament too. What is clear is that the different positions on democracy and elections form a continuum: They are not strictly separated but merge into each other and can be (and are) adopted by both the Muslim Brotherhood and Salafis. Ideological shifts can be seen in the form of slow but genuine movements across positions over a long period of time as well as in the form of quick but superficial movement across positions when political circumstances change, such as after the Arab Spring. The latter can accommodate the former, meaning that positions can change, even for Jihadi-Salafis. If adherents to the ideology of al Qaeda ever decide to continue their fight by parliamentary means — unlikely as it seems right now — they will find that the justifications for doing so have already been thought of and are simply theirs for the taking. Joas Wagemakers is assistant professor of Islamic Studies at Radboud University Nijmegen, the Netherlands. He is the author of A Quietist Jihadi: The Ideology and Influence of Abu Muhammad al-Maqdisi (2012) and co-editor of The Transmission and Dynamics of the Textual Sources of Islam: Essays in Honour of Harald Motzki (2011). He co-edits ZemZem, a Dutch-language journal on the Middle East, North Africa, and Islam and blogs at Jihadica.com.